Neat Stuff @ the Library | What's On My Nightstand? The Des Plaines campus library has recently expanded their collection to include some handy items for your use in the library. Each of these items can be checked out for 2 hours with your library card. Any items we are missing that you would like added to this list? Please, respond to this blog post and let us know! FYI: These things are NOT available at the Skokie Campus. 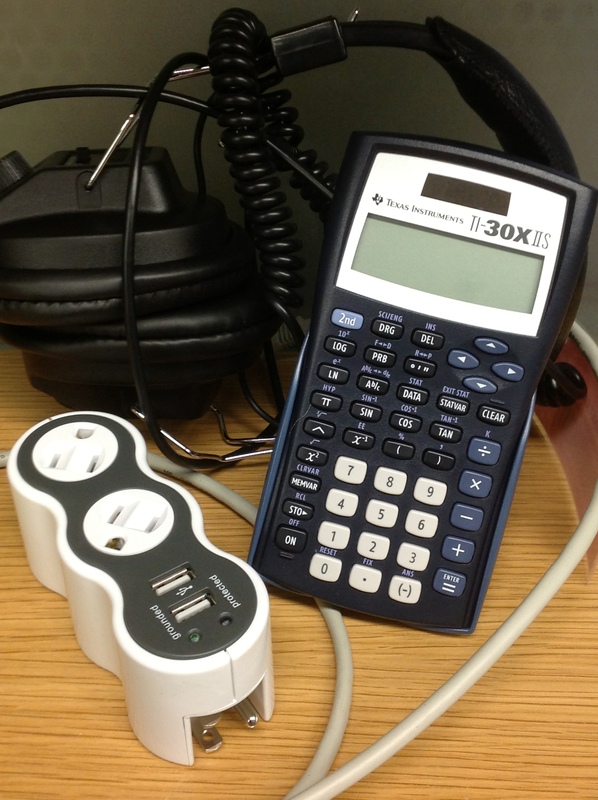 Good News We now have headphones AND calculators at the library in Skokie!